I had the absolute pleasure to participate in the Getty’s Advanced Conserving Canvas Workshop in the Netherlands yesterday. Conserving Canvas is an international grant initiative begun in 2018 that aims to ensure that critical conservation skills needed to care for paintings on canvas do not disappear. I just registered for the Conserving Canvas Symposium at the Institute for the Preservation of Cultural Heritage at Yale University. This will be the first major international gathering on the subject since 1974. 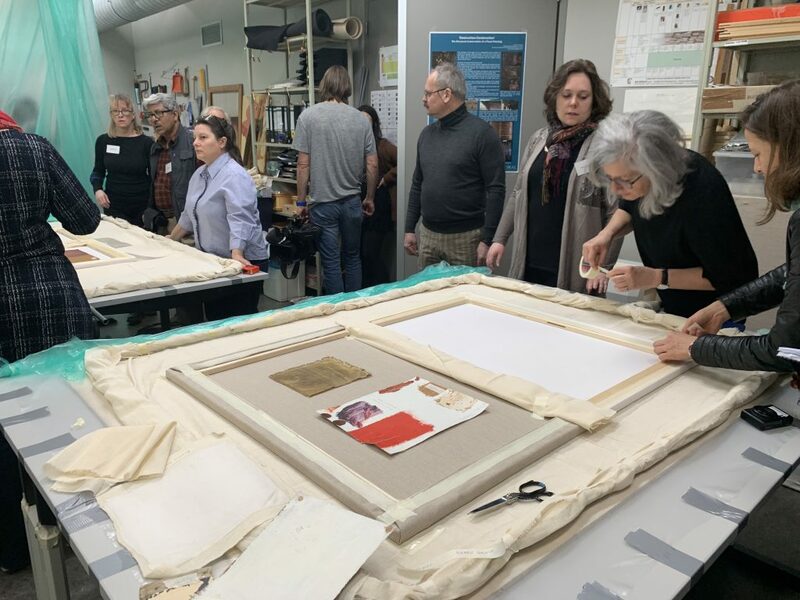 According to the organizers, the symposium will address historical approaches to the structural treatment of canvas paintings; current methods, materials, and research; and the challenges facing the structural conservation of modern and contemporary works. 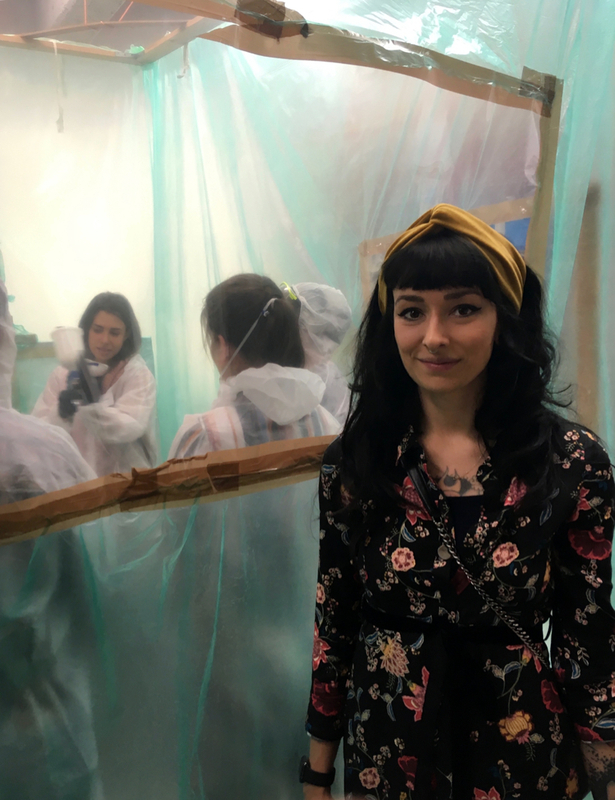 With today’s field embracing minimal-intervention techniques and maintaining differing opinions on the efficacy of more invasive approaches, the symposium will provide a long overdue forum to reevaluate historical and current practices as well as inform future directions for the conservation of canvas painting. I had the absolut pleasure to treat one of the paintings in LACMA‘s upcoming Frank Stella show. LACMA is currently helping me to obtain a grant to continue the research I started on Stella’s early daylight fluorescent paintings. 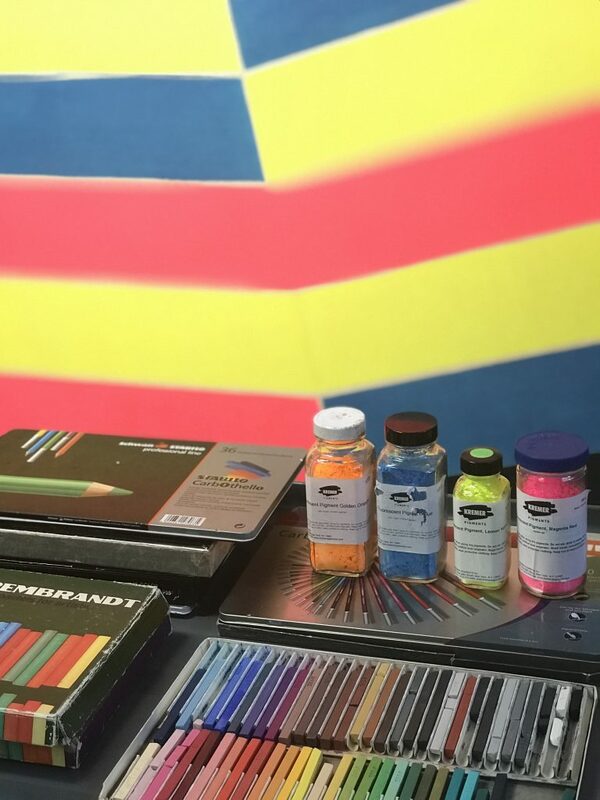 Stella used paints and pigments from the DayGlo Color Corp, which are now incredibly difficult to treat as no precedent is set on their treatment. My research, however, aims to provide the conservation community step-by-step instructions for treatment as well as guidelines for proper storage and exhibition. I am humbled and honored to be this year’s FAIC Individual Professional Development Scholarship Award recipient. My narrative report about the award will be published on the website of the American Institute for Conservation of Historic and Artistic Works (AIC) shortly. AIC and it’s foundation are generously supporting conservation education, research, and outreach activities within the conservation community. 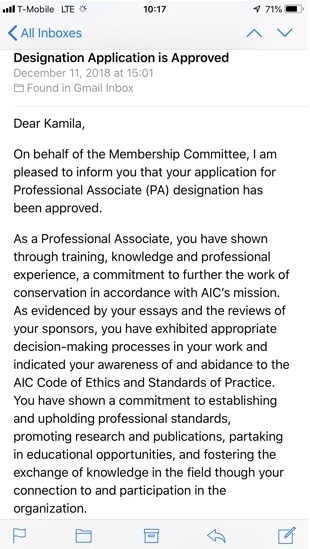 With my recent shift to private practice I am particularly grateful to AIC’s support. 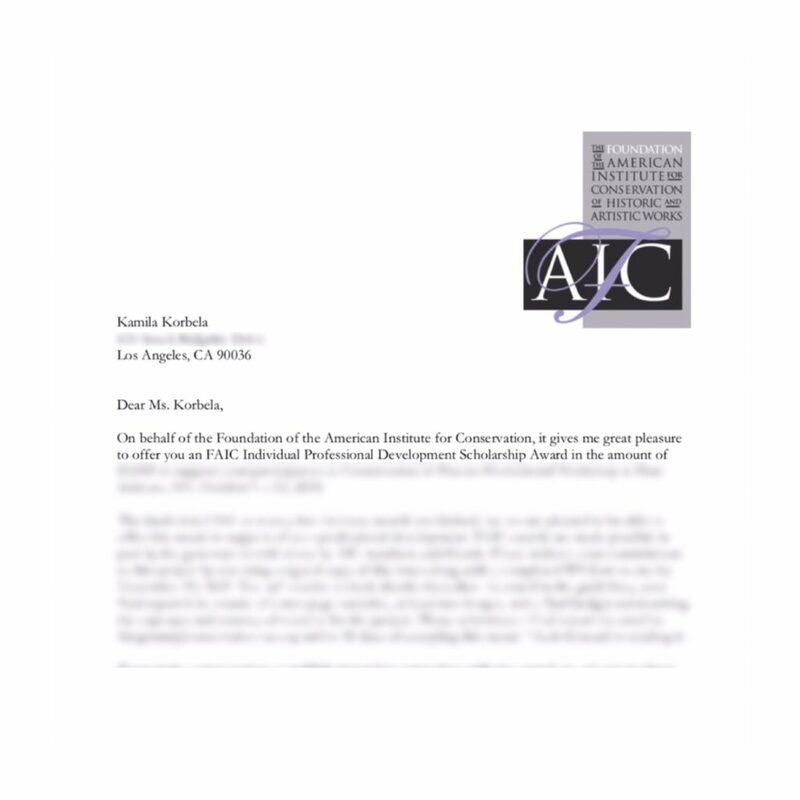 Award offer letter from the American Institute for Conservation. I am utterly delighted that my peer-reviewed Professional Associate status with the American Institute for Conservation of Historic and Artistic Works is finally official. I was just referenced in the recent publication ‘Edvard Munch – Between the Clock and the Bed’ by the brilliant researcher Mille Stein. Prompted by this situation, I would like to point to my contribution to the book ‘Public Paintings by Edvard Munch and his Contemporaries: Change and Conservation Challenges’. My paper focuses on five paintings by Edvard Munch in the collection of the National Gallery of Denmark in Copenhagen. Two paintings suffered from complex structural problems, as local crack patterns, flaking, and paint loss have been a constant issue, even after repeated selective consolidation. As all treatments have thus been of limited success in the long term, I identified the causes of this recurrent problem in order to develop a strategy to ensure the paintings’ stability in the future. 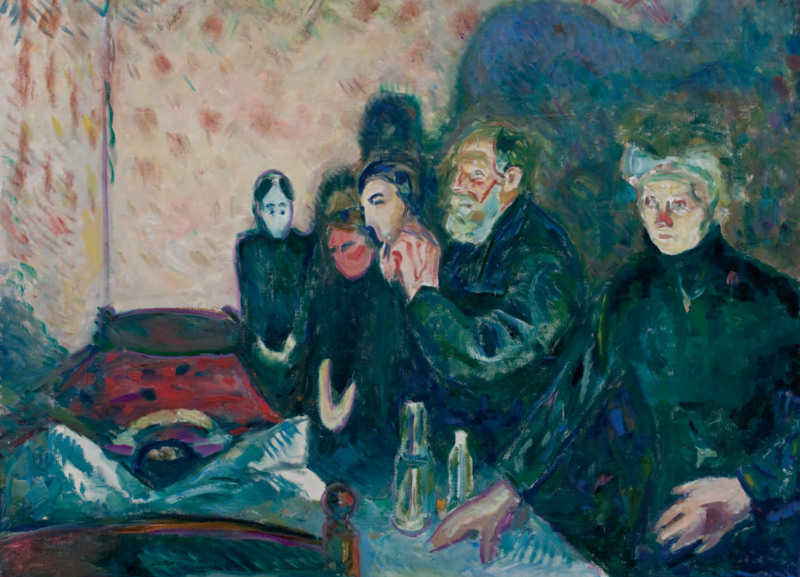 The clarification of structures in the two deteriorated paintings not only helped to substantiate the presumptions about their physical and chemical deterioration, but also complemented the existing body of research into Munch’s oeuvre for an understanding of degradation processes in his paintings. For a look inside the book click here. As part of the investigation, this Munch painting has been examined in detail, visually and by multispectral imaging techniques. The left photograph shows the same Munch painting in ultraviolet light and the right photograph in strong raking light. As a member of the American Institute of Conservation (AIC), I participated in the organization’s 45th annual meeting in Chicago and was part of the Advancing Leadership in Conservation working group. Check out my blog post about the opening session on AIC’s website. 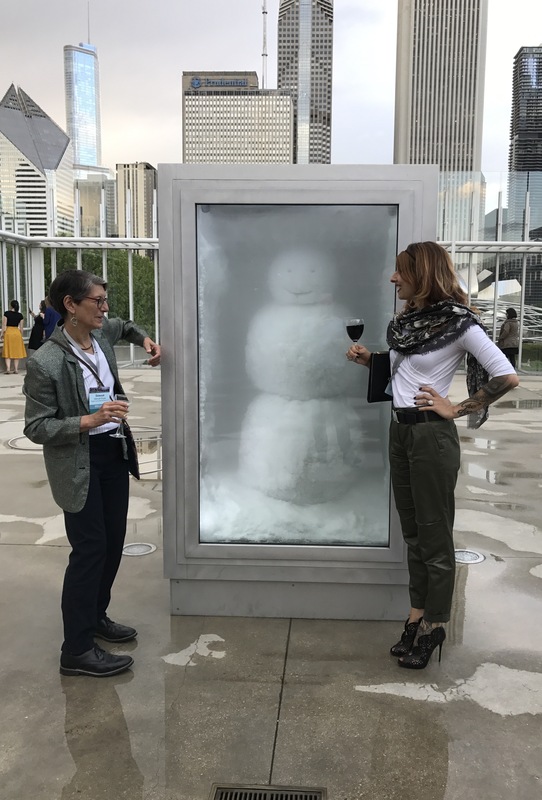 This picture was captured during the opening reception of the 45th annual meeting of the American Institute of Conservation at the Chicago Art Institute. 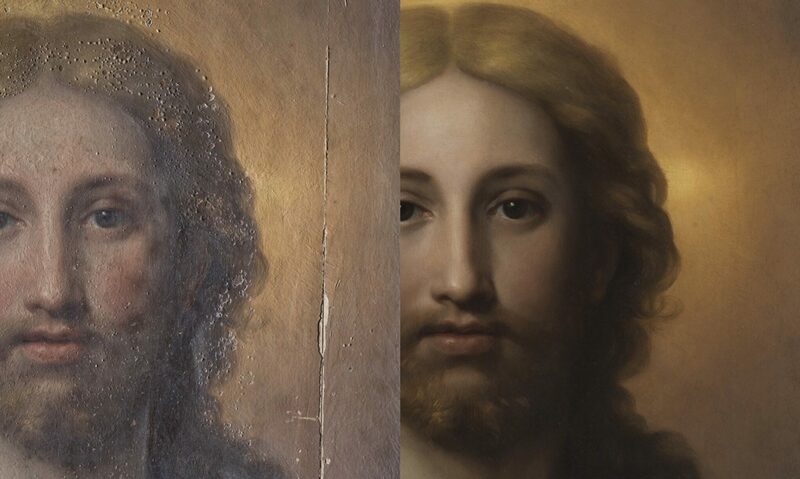 Some paintings undergo remarkable transformations during the restoration process. 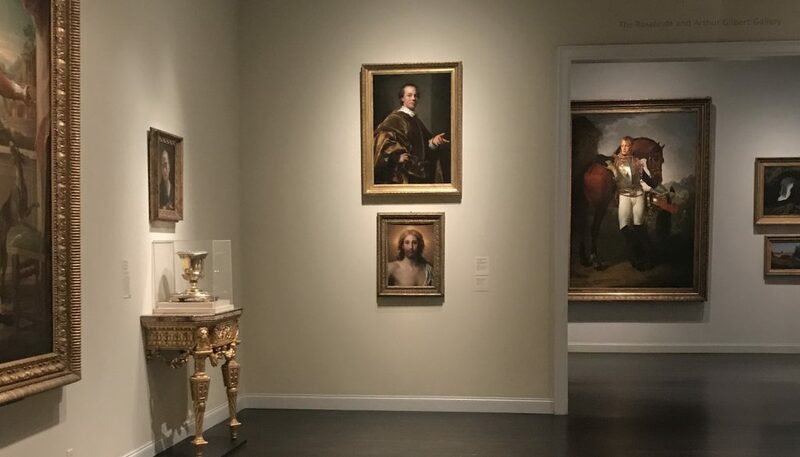 My recent treatment of a painting by Anton Raphael Mengs was kindly acknowledged in a post on LACMA’s blog. The painting can now be enjoyed in LACMA’s European galleries. More information including photos taken before and after treatment can be found here. I examined and restored a panel painting by the German-Dutch flower and still-life painter Abraham Mignon (1640-1679) at the Conservation Department of the National Gallery of Denmark during preparations for the exhibition Flowers and World Views. The artistic quality of Mignon’s meticulously detailed works had disappeared under thick layers of yellowed varnish and discoloured overpaint. This project was an opportunity to remove the old restorations in order to reveal the virtuosity of Mignon’s works. Read my entire story here by clicking on this link. This film offers insight into a conservator’s working process. 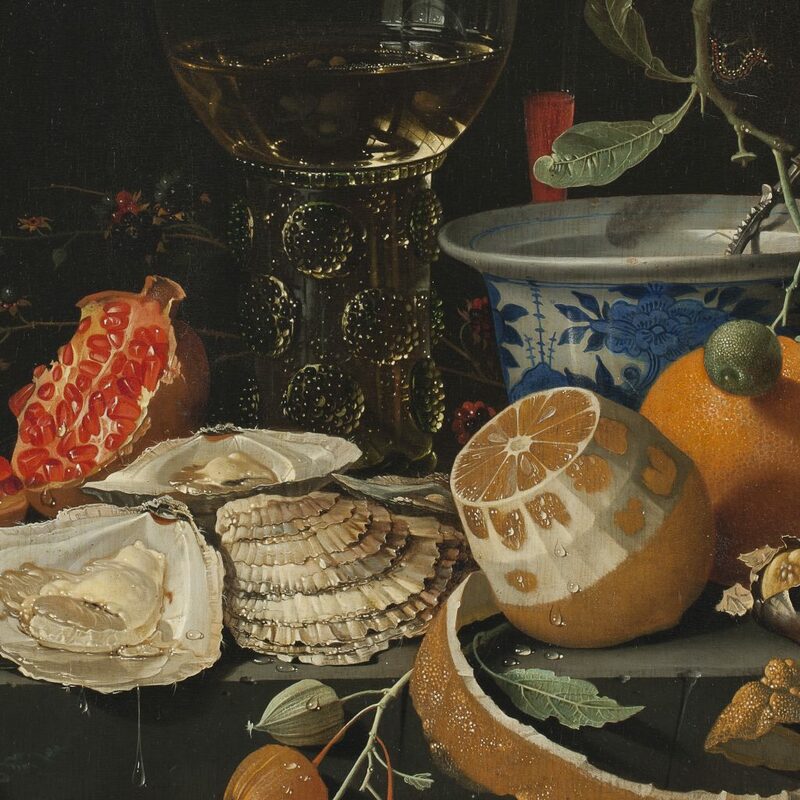 See how I analysed and restored a panel painting by the German-Dutch flower and still-life painter Abraham Mignon (1640-1679) at the Conservation Department of the National Gallery of Denmark, and how hidden stories are unveiled. 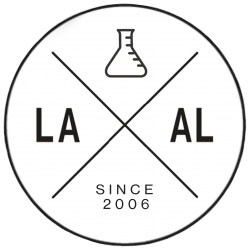 LA Art Labs is devoted to museum-quality conservation and the study of paintings, sculptures, and painted objects in Southern California.